SunPower® panels not only generate energy on your roof, they can also generate cash in your pocket. That’s because when you go solar you can save on your monthly utility bill and secure lower fixed energy rates for years to come. The savings over time add up and allow you to plan for your future. See how quality, savings and affordability make going solar the right choice. 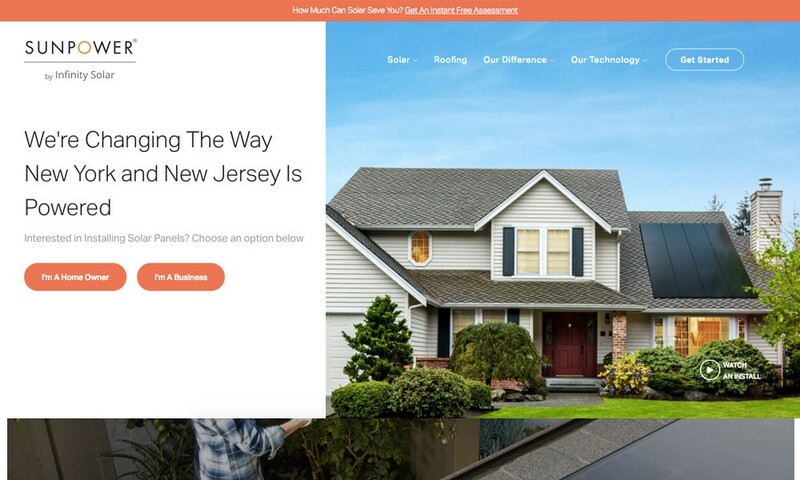 SunPower® by Infinity Solar is part of the largest growing dealer network in the United States with over 6,500 projects completed in the state of New Jersey and in Rockland, Orange and Westchester Counties in New York.